Zwift group rides are a big part of what makes Zwift amazing. There’s just something motivating about hanging with the peloton as it flies around the course, everyone in the same kit with a yellow and red beacon accompanying. I am going to guide you through the process of getting a group ride of your own. This is through my personal experience and it has worked for me. Your outcome maybe different. Looking at Zwift’s statement above, it is clear that Zwift wants dedicated ride leaders. There are only so many time slots available and they want to make sure they are not giving one to a leader/group who may not show up. How do you get Zwift to “see” your dedication? Easy: volunteer on other group rides. Step up and Lead, Sub-Lead and Sweep, make sure it is an “official” volunteer effort where your email is submitted to the ride organizer and you get the appropriate beacon(s). This simple step will pave the road for your own group ride. Be prepared with multiple possible dates and times, since Zwift’s initial response may say your desired day and time is not available. You might also check the event calendar to make sure other rides aren’t already scheduled for that date/time. Purpose: what is the purpose of the ride? Training, Social, Rehab, Introduction to Zwift? Remember, you are the ride leader and it will do you no good to plan a 2.5 w/kg ride when you are not capable of sustaining at least that for the duration. So plan accordingly. ZSUN Back to Basics event is our friendly community group ride held every Monday. This is a group ride that targets people who want a supportive ride that keeps to a steady pace (1.5w/kg), which will not exceed 18-19mph (29-30kph) on the flat parts of the course. 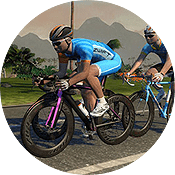 All riders are welcome to join this event and be part of the ethos of community group riding within Zwift. Our Discord voice service can be found @ https://discord.gg/pj2WVqn Please use Push to Talk to avoid echo feedback. 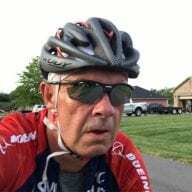 This ride is a solid ride and provides an “intro” to group riding for new Zwifters and a Great Recovery or Warm up for seasoned riders. Once you have settled on the specifics of your group ride, here is what you need to provide to Zwift. Time (in USA-EST please) Note: While we do our best to schedule your event at the time of your choosing, we cannot guarantee your requested time will be available. Distance (Ex: 3 laps or 1 hour plus miles/km. If we use time or distance the ride may or may not end under a finish banner. If we use laps it will). Course (Ex: London Loop, Watopia Flat). We change courses frequently so please let us know the Watopia, Richmond and London course you would like to use so we know in advance your course selection. Ride description (a good description increases the success of the ride so provide as much detail as possible). Is this ride recurring? Do you want this ride to happen the same time every week? There you have it folks… the “unofficial” official guide to starting up a group ride on Zwift. Stay tuned for more Zwift Insider posts on the topic of leading group rides! How do I volonteer for a ride?? Alexander, If you want to volunteer with a group ride reach out to the Ride Leader or the Group (they usually have a FB page) and begin a dialogue with them and express your interest in helping. Most rides are always looking for help. Any suggestions who to email when we have everything together? I tried to email Charlie@zwift and have not heard back.